Enthusiastic about helping people? We are too! If you’re eager to support people as they get to grips with Bitcoin and you want to work in one of the world’s fastest growing industries, you’ve come to the right place. 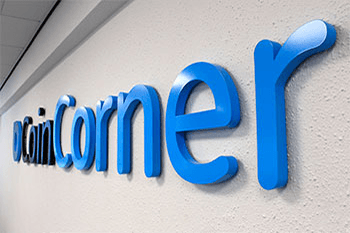 Based in Douglas, the centre of the Isle of Man’s financial district, CoinCorner is one of the UK’s leading Bitcoin exchanges and our aim is to make buying Bitcoin quick and easy. Above all, people come to us to buy, sell, send, store and receive Bitcoin. Our services don’t end there though and we always have many exciting projects in the pipeline! We’re a fun and friendly bunch who know how to have a good laugh. If you’re an upbeat, passionate and motivated person who can take and give a joke (they’re not harsh, we promise!) and would love to take on a new challenge in your career, we would like to hear from you.